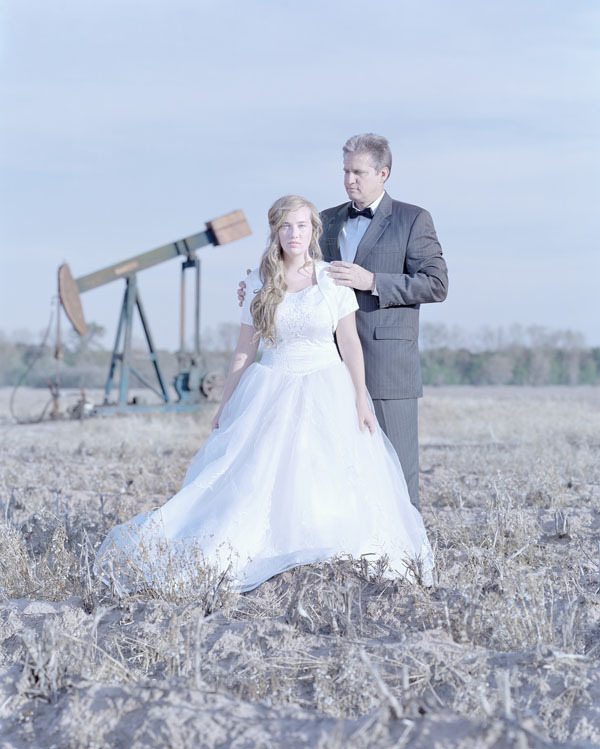 Purity, by photographer David Magnusson, is a collection of photographs of fathers and daughters who have chosen to participate in a Purity Ball ceremony. The girls promise to remain virgins until they marry and the fathers vow to protect and support them along the way. Presenting us with an unbiased portrait of tradition and religion, Magnusson allows the audience to form their own opinion, while creating a dialogue and encouraging self-reflection. 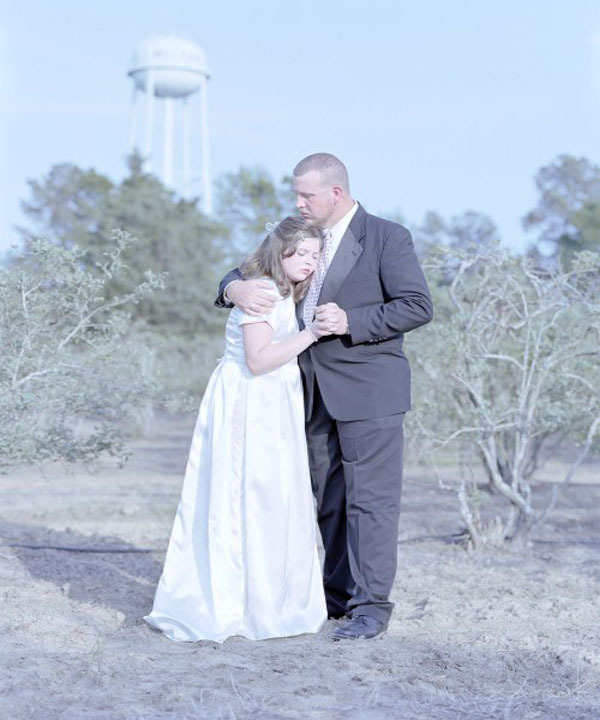 Abigail Smithson: How did you first learn about the Purity Balls? David Magnusson: Through a really short story in a Swedish magazine. When I first read about them I didn’t know what to think. I got this picture in my mind of scared American fathers sitting in panic with shotguns in their laps on their porches, prepared to do whatever necessary to protect their baby girls, or something like that. But I became really curious especially since they borrowed so much symbolism from the wedding ceremonies. And when I started to read more, what really fascinated me was how much I could relate to the reasons fathers and daughters had to participate in these ceremonies. My impression was that these were loving parents that, as any parent would, just want the best thing for their children. In many cases it was also the girls who had taken the infinitive to attend the Purity Balls, sometimes with the fathers not even knowing what a Purity Ball was before their daughters asked them to go. So what really fascinated me was that I had had such a strong initial reaction where I assumed I knew so much about people I had read three or four lines of text about. I thought I knew everything. When I read about this I was at a point in my photography where I had been doing a lot more personal photojournalism. I felt that for a really long time I had been very focused on presenting answers in my pictures rather than posing questions. I was a bit fed up with that. I felt that when you looked at my pictures, even though that clarity has value, you saw about exactly what I wanted you to see and experience and then you were done and you moved on. My work was being consumed so quickly and it didn’t really leave room for individual reflection. 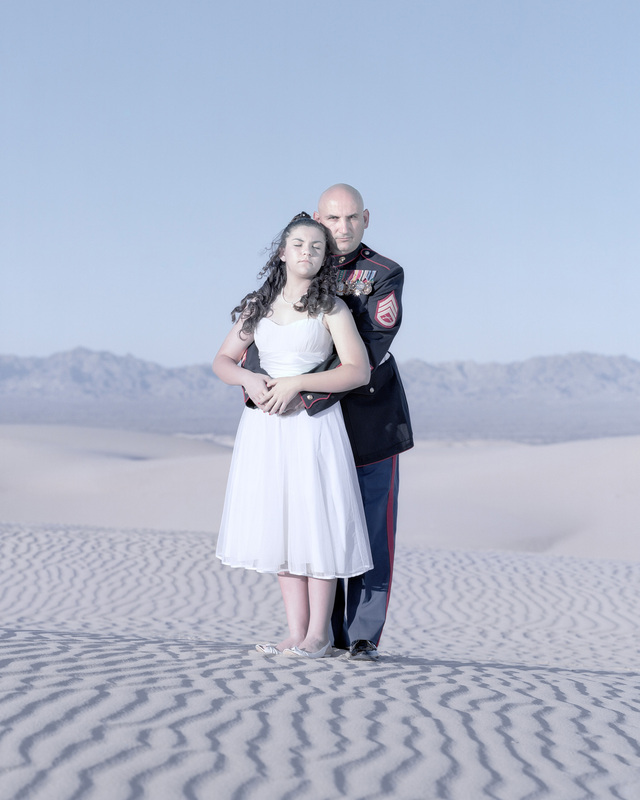 So when I came across the Purity Balls and was so struck by how my own first impressions clashed with how I could relate to them once I learned more, I had the idea to photograph a series of portraits intended to be so beautiful that the subjects, the fathers and daughters, would be really proud of the portraits of themselves in the same way that they are proud of their decisions. While someone from a different cultural background might view the exact same photograph in a totally different way depending on their own context. AS: How did you put feelers out as far as getting in touch with these families? DM: I knew I wanted to do a series of portraits. And this is my first book and my first solo exhibition. I have never done anything this big. I had decided that I had to get some kind of funding to do it. So before I made any contact with anyone in the U.S. I wrote a grant application to the Swedish Arts Grants committee. And I wouldn’t say that I lied but I was quite optimistic concerning the project. I said, “Ok I am going to photograph forty portraits and they are going to look exactly like this, and I am going to shoot large format (which I have never used before…)”. I just wrote three pages of my dream project and sent it in. And then six months later I got an email on a Thursday night saying “David Magnusson your project Purity has been approved”. When you apply for a certain grant it’s required that you do exactly that project you originally applied with or you have to pay them back the amount of money in the grant (USD $25,000). So I found myself sitting here with all this money and this idea and I had to do it or pay them back. It was a bit terrifying but amazing at the same time.So then I started to contact organizers of different purity balls in the U.S. I think it took about four or five months of emails, phone calls and letters. Many of the people I contacted were open and friendly but they needed to forward their participants’ contact information to me for me to do my project. Most of them said that I was welcome to come to a Purity Ball and take pictures but that was not exactly what I was after. But in October 2010 I got in touch with a woman named Deb Brittan at the Ark-La-Tex Purity Ball in Shreveport, Louisiana and Deb heard my idea and was fascinated. She gave me email addresses and phone numbers of ten or fifteen fathers and daughters who had participated in her purity ball. Then I went to Shreveport in November of 2010 and managed to do seven portraits. AS: How did you make your subjects feel comfortable? DM: Usually I hadn’t met them before the photo shoots because we mostly did the interviews after. The most important thing was to create a situation where we all were focused during the session. I told them that I wanted to see their relationship as a daughter and a father in light of the decisions they have made together. I asked them not to smile, since I wanted the picture to represent the seriousness of their commitments to each other. I told them where they were supposed to stand and I told them that you can stand as close together or as far apart as they wanted, if you want you can hold each other, you can pray, you can close your eyes, you can look straight into the camera. I just presented them with that load of options and with that as a starting point, I moved them around and we tried different things but I never directed them in detail. It has been so interesting to me coming back here and seeing the pictures. The pictures have such different characters from each other. Some of them are really strong, some of them are fragile; in some of them the daughter is really strong while the father is almost scared of holding her. That level of character isn’t something I could have directed even if I wanted to. Each photo shoot took about an hour and I shot eight or sixteen frames per photo shoot, which is quite a lot for large format and only an hour of portraits. 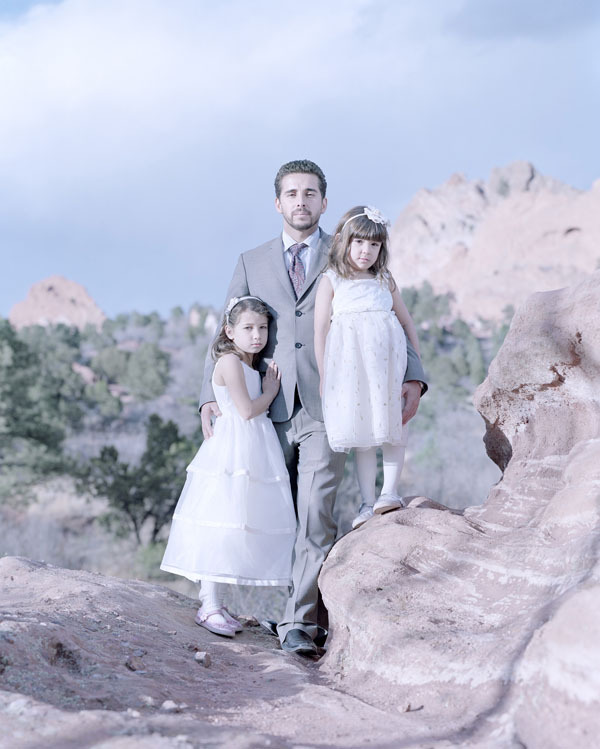 What really struck me when I got back was that the girls and their fathers stood for an hour holding each other, focusing on each other or right into the camera. I have never stood and held another human being for an hour in my life. In a way it was like I had set the stage for a series of situations to occur and then I just had to watch out for the moment. AS: Did the fathers and daughters understand why you were attracted to their stories, why you thought it was so interesting? DM: Many of the people I met would ask how it would be viewed in Sweden. They realized that this might be viewed as something that is very strange in a country like Sweden or a non-religious context. But at the same time, they were proud of their decisions and they wanted to share their thoughts and reasons about why they did this. The Purity Balls have been extensively covered in media in the U.S. and internationally but as far I’ve seen most of the media has focused on the actual ceremonies or the founders. I think many of the people I photographed thought it was nice to get some focus on themselves as individuals. AS: Tell me how your thoughts about the Purity Balls changed throughout the process. DM: When I went into this process my goal was to create questions and pass those on to the viewer, just to collect a series of portraits and interviews and present it as a collection of information to the viewer, leaving them free to make up their own minds about the Purity Ball phenomenon. I can say that the people I have met have been absolutely amazing. I have met strong, independent, intelligent, thoughtful young women who have made their decision out of their religious convictions and beliefs. And I have met parents that I am convinced want the best for their children. At the same time, I think that the Purity Balls are an extremely complex issue. What became most clear to me is that it is very hard to try and label a phenomenon such as this right or wrong. To me art is something that provokes your thoughts, and gets your mind going. I am much more interested in viewing material that poses questions and lets my mind do the work instead of just giving me quick and easy answers. This is about the viewer as well. This is about how you interpret the pictures when you see them and hopefully you might be able to reflect on where your own values and own interpretations come from, in the same way that I did when I first read about the Purity Balls. I have been given such an amazing confidence by girls who are really young, have taken time off school, rented the same dress they wore at the ball, had their hair and make-up done, and stood and posed for me for an hour each. They have put a huge amount of trust in me and I feel like it is extremely necessary to treat their trust with respect and to treat them with dignity. Also, if you are in the Stockholm area, stop by Fotgrafiska: The Swedish Museum of Photography to see these photographs from Purity as well as many more in person! The show is up till May 11th. Find more details here and here.